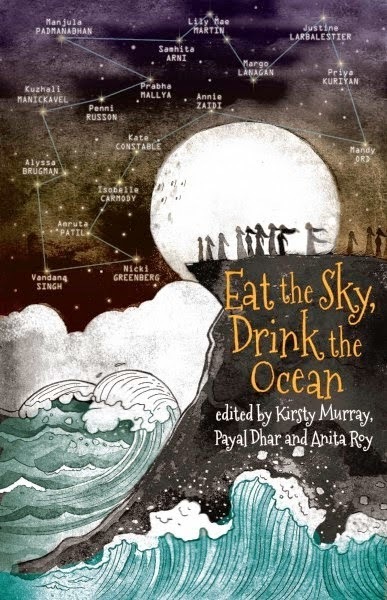 Just a quick mention of the Eat the Sky, Drink the Ocean launch which took place at Eltham High School yesterday afternoon, in truly Indian weather. Stupidly I didn't think to take any photos (it's a bit awkward when you're one of the speakers!) but it was a wonderful event, chaired by Kirsty Murray, and featuring a plethora of speakers, including a representative from the Indian consulate, who selflessly sacrificed going to the India/South Africa World Cup cricket match at the MCG to be there. I also got to meet Mandy Ord, and hang out with Penni Russon and Nicki Greenberg, and hear their take on the experience of being Sky-Eaters and Ocean-Drinkers. I am continually fascinated by the range of collaborations this project has involved! and afterwards we got to gorge on samosas, curry puffs and lamingtons - a delicious combination. Also you can hear Kirsty and Anita Roy discussing the book on Radio National here. Thanks to everyone who was able to attend! Special kudos to Lucia Masciullo's illustrations, which are delicate and beautiful, and suit the story perfectly. 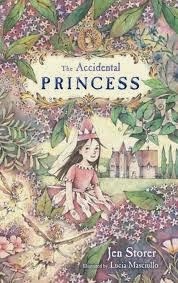 A lovely package which would appeal to young girls who like fairies and princesses, and deserve better fare than those bloody awful Rainbow Fairy books. 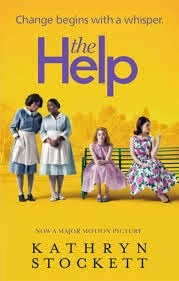 I borrowed Kathryn Stockett's The Help from the library, but the Elder Daughter grabbed it first. As assiduous followers of this blog may know, reading is not easy for the ED, but she persisted with this until the very end, despite its considerable length and the fact that at least half the book is written in dialect -- the stories of the 'coloured' maids, Aibileen and Minny, which form the core of the story. Once I started reading it myself, I asked ED if she'd found the dialect off-putting, but she said no, she liked it, and she felt she could hear the character's voices in her head. I guess that's the advantage of reading at speaking pace, whereas I tend to dash ahead and kept tripping over the language. I had mixed feelings about this one. I must admit my heart sank a little when I realised the author was a white woman, writing from the perspective of, and literally in the voices of, Black women of 1960s Mississippi. This is tricky territory, as I am all too aware, having faced similar choices about authorial voice while writing Crow Country. Apparently Stockett faced a law suit from her brother's nanny, Ablene, who feels her story has been appropriated. On the other hand, it's a very juicy, sympathetic, readable novel which (together with the movie made from it) has no doubt led a lot of people to think about history, and racism, and civil rights, when they might not otherwise have done so. Certainly ED, at 13, started asking questions about American race relations, the history of slavery and the struggle for civil rights, as a result of reading this. (Listening to To Kill A Mockingbird recently might have contributed, too.) So I have to say, on balance, that's a good thing. ED wants me to buy a copy, so she can keep it on her shelf, as the first adult novel she has read independently. And I think I will. Isobelle Carmody, Penni Russon, Justine Larbalestier, Margo Lanagan, Lily Mae Martin, Manjula Padmanabhan, Kate Constable, Priya Kurian, Mandy Ord, Kirsty Murray, Nicki Greenberg transport you into dystopian cities and other worldly societies with stylish stories, poems, playscripts, fractured fairy tales and futuristic TV cooking shows. "The tapestry of Eat The Sky, Drink The Ocean weaves in issues of food security, environmental destruction, class barriers, social justice and human rights to create lustrous narratives…. this anthology stands out for plucky writing and bold imagery"
UNMISSABLE for avid readers 14 plus looking for the next best sci-fi, fantasy read. Cost: $20 includes a signed copy of the book or a $15 gift voucher, authors' presentations and Aussie Indian treats. I found this on a bargain table and grabbed it, because it was a new-ish release and I'd heard nothing but good stuff about Vikki Wakefield. 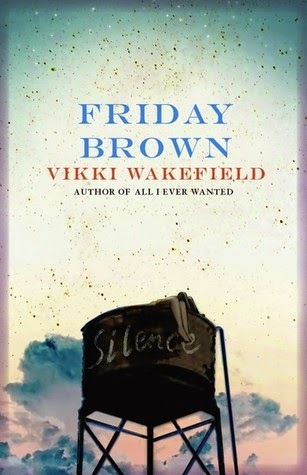 I haven't read her first novel, All I Ever Wanted, but judging from Friday Brown, all the rave reviews are justified. Wakefield's writing is strong and unsettling, her characters vivid and memorable. Friday Brown is a story in two parts. The first half finds the freshly grieving Friday adrift in the city, taken into a self-styled family of wounded, sometimes menacing street kids, where she finds herself increasingly out of her depth. In the second half, the tables are turned as the gang takes to the country where Friday's superior knowledge and confidence gives her the edge, and the means to survival. I was a very sheltered teenager, and if I'd found myself in Friday's shoes, I can't imagine that I would ever have turned my back on the shelter of a concerned grandfather and taken to the streets. But hey, if everyone was like me, there'd be no stories (well, not stories like this). I always find this kind of gritty YA uncomfortable to read. But then, I guess that's the whole point of it. 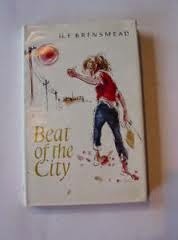 I bought Hesba Brinsmead's Beat of the City second-hand last year, as part of my getting-to-know-early-Australian-authors project. I'd never heard of it, but I really love Pastures of the Blue Crane and I hadn't read any other Brinsmead books. Well, it hasn't aged as well as Pastures, despite being published only a year later. Pastures is set on the Queensland coast, but Beat is completely urban. It's set in Melbourne in the mid-60s, published in the year I was born, in fact. This aspect was absolutely fascinating -- the story swirls around the axis of Johnston St, from the students of the university at one end to the Convent and the river at the other, and there's lots of nostalgia for a Melbourne resident: Allans Music Store, Abbotsford and Fitzroy's 'hugger-mugger of factories, tenements, migrant hostels, and almost brand-new slums', Whelan the Wrecker, Russell St police headquarters. But it's very self-conscious about examining the 'with-it', 'way out' yoof with their dead, empty eyes, pursuing the dead, empty pleasures of 'canned' rock music and dancing; redemption is found when the characters are exposed to the delights of 'real' folk music! I must say I was drawn deeper into the story the longer I persisted, and I ended up enjoying it, though it was a bit of a struggle at the start. The illustrations didn't help, I felt they were quite unsympathetic, almost cartoonish, and I found them alienating. I only discovered this morning that there was a TV miniseries made from the book, in 1975! Now that would be interesting to see!